Home / Community / events / MRFC / Looking for something to do with your kids tomorrow? Looking for something to do with your kids tomorrow? 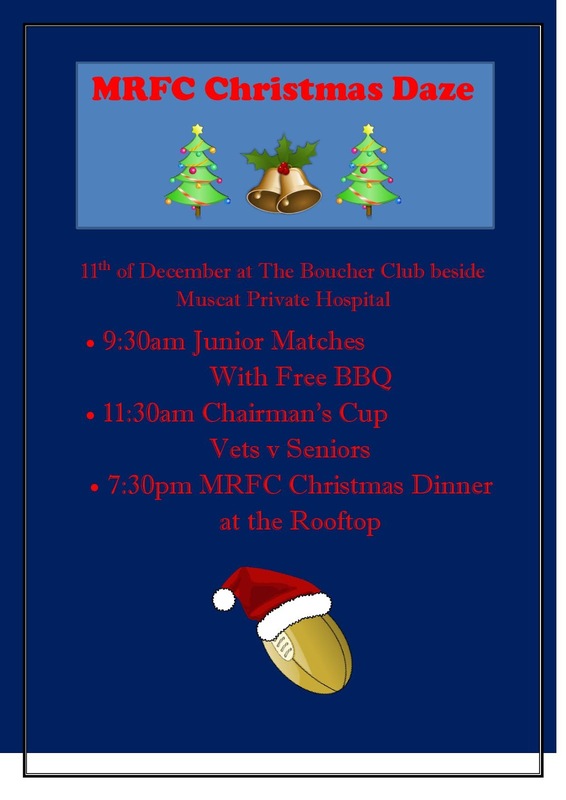 Tomorrow is the MRFC Daze... it all kicks off at 9:30am with a Junior Christmas rugby match along with a free BBQ for the spectators. Then up at 11:30am is the Chairman's Cup game (basically old guys v young guys, old guys cheat a lot). 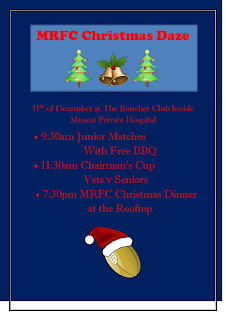 Then finally in the evening (after the afternoon off) at 7:30pm the Annual MRFC Christmas Dinner at the Safari rooftop grill at the Hyatt. Tickets are still available for that at RO 35 a pop, which includes dinner and all you can drink.. of what's on offer (beer, wine and some spirits). There are tickets to anywhere in the GCC on Oman Air as well as a weekend test drive of a brand new Mercedes S class.